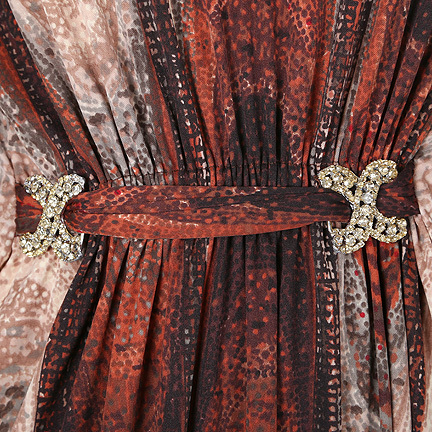 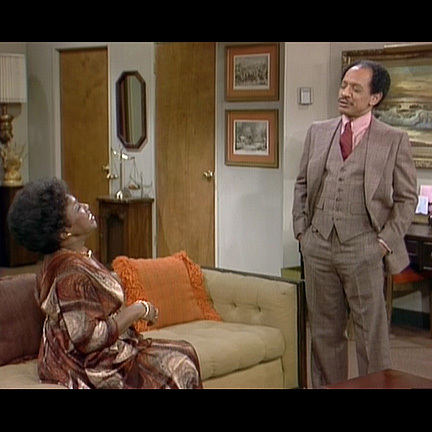 This dress was worn by “Louise Jefferson” portrayed by actress Isabel Sanford in the television series “The Jefferson’s”. 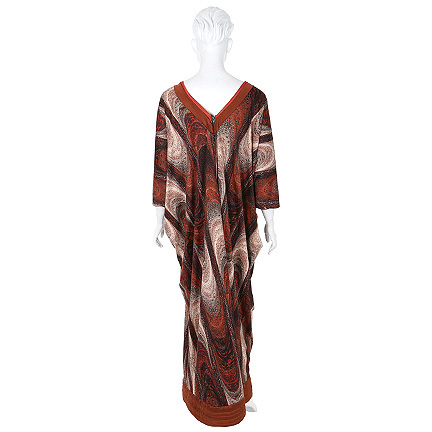 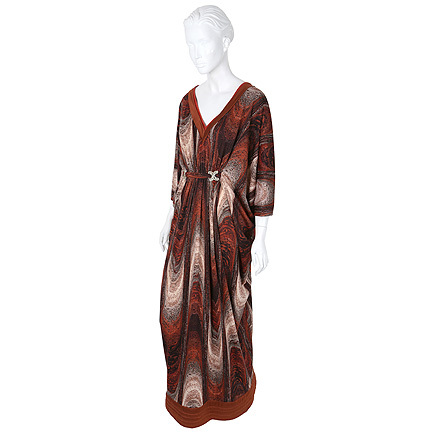 The vintage 1970’s brown velour maxi dress complete with the original rhinestone broach closure, is in excellent screen worn condition. 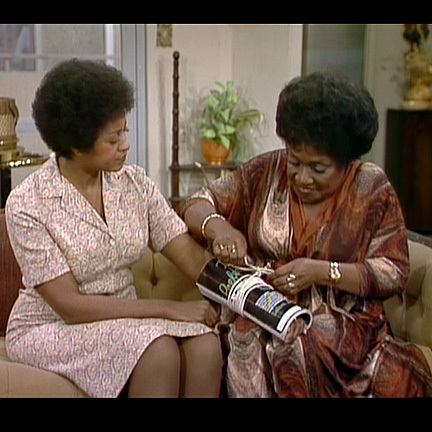 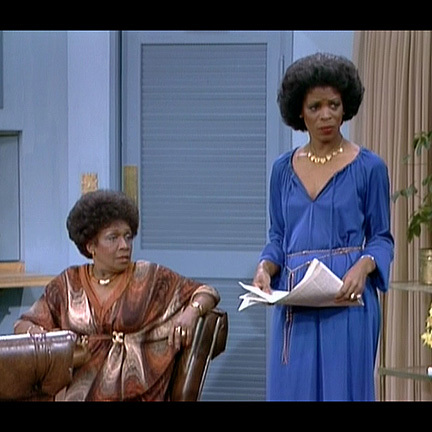 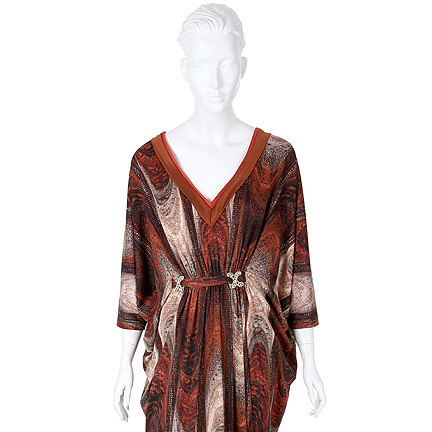 Ms. Sanford can be seen wearing this dress in “The Hold Out” (Season 5 Episode 19), while sitting on the couch trying to create a makeshift cast for Florence and while sitting at living room table when Helen Willis (Roxie Roker)comes to visit.